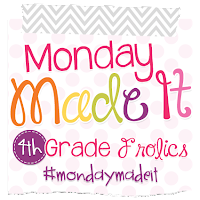 Time to link up with Tara at Fourth Grade Frolics again for Monday Made It! 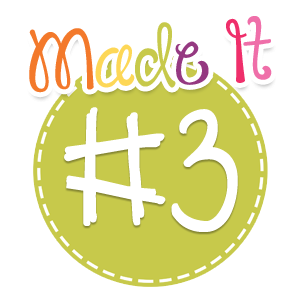 This week I was inspired by Cassie at Funky in Fourth!! 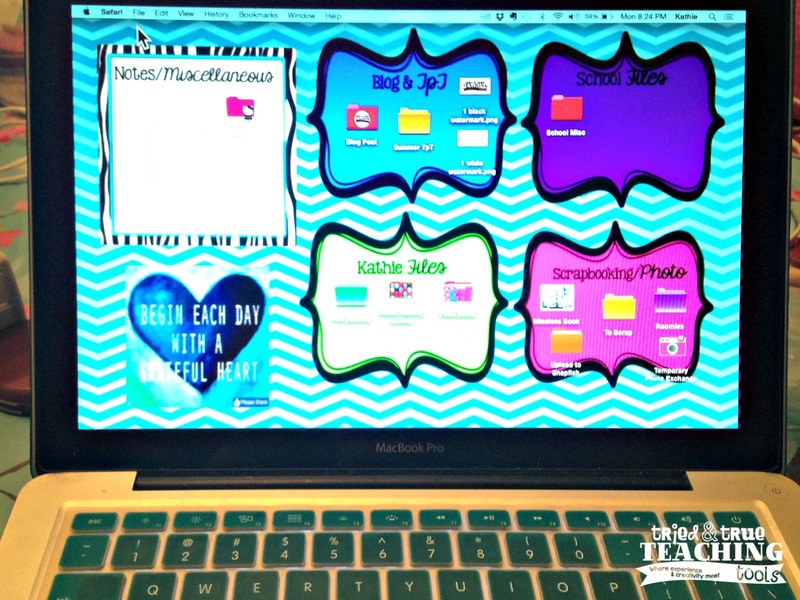 We learn best from copying good examples so I was VERY excited when I saw Cassie's post on customizing your desktop!! 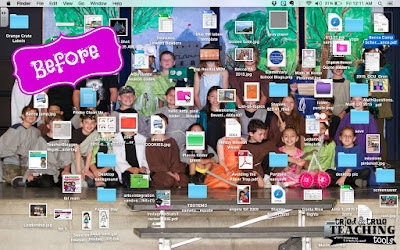 My desktop was a hot mess!! My goodness; where is anything?! I am so in love with my new desktop!! Do you also see my various folders? (no more boring blue!!) Cassie also has an easy tutorial about changing your desktop folders; read about it here. Now I can't get enough of changing all those generic blue folders into cute icons!! So of course, since I redid my school laptop, I also had to redo my home laptop desktop!! My second "Made It" is a California history product I've been wanting for years!! 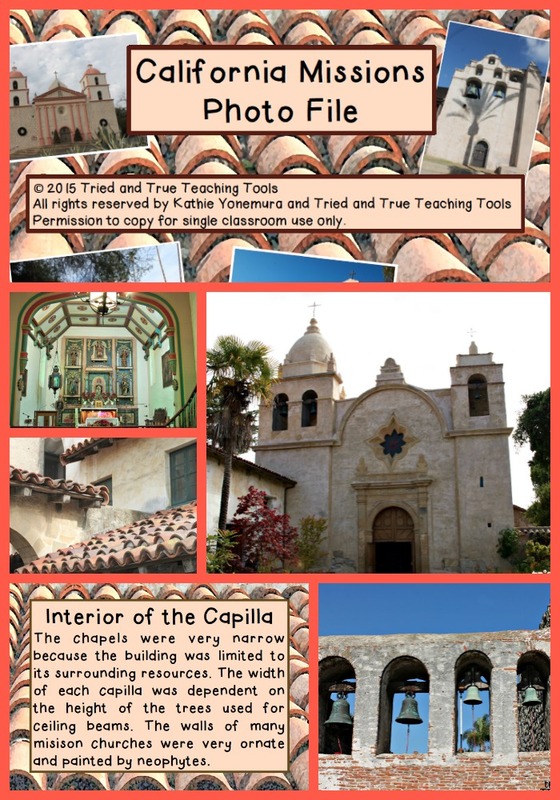 Every time I teach about California missions, it's such a tedious process to compile all the pictures I need when teaching about various architectural components of the missions. I've visited 9 of the 21 missions so far, so I have A LOT of photos!! I finally put the best ones altogether, along with a slide explaining each architectural component. 77 pages in all!! It's a great tool for visual vocabulary and to enhance student understanding! 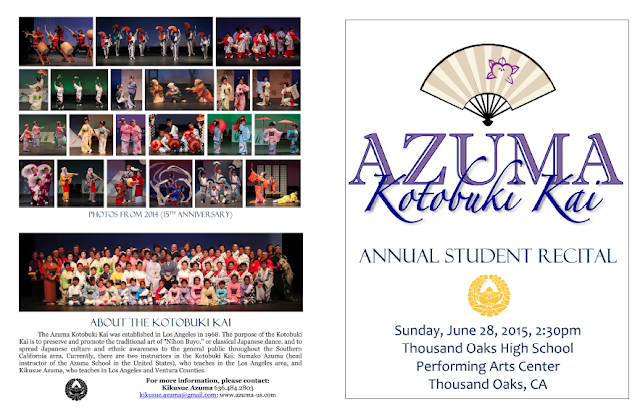 I can't wait to use it next year!! My final "Made It" is part of the set for my Japanese dance recital. 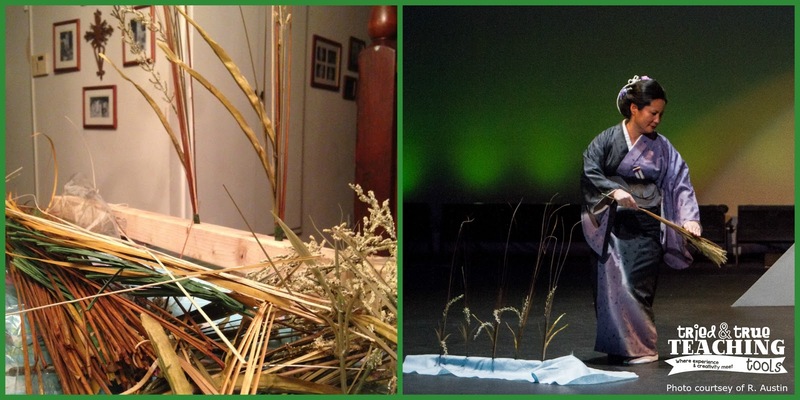 My partner, Catherine & I danced "Tsukiyo", an autumn moon-viewing festival. Our set included Mount Fuji, with a full moon in the background. The autumn stalks/reeds I put together were part of our dance. That's it for this week! Be sure to click on the button below to find more fabulous ideas! Your new desktop looks great... I love the way you changed out the folder icons! Thanks, Taylor!! Now I want to change all my computer desktops when I get back to school; it may make it easier for my students to use, too!! LOL!! 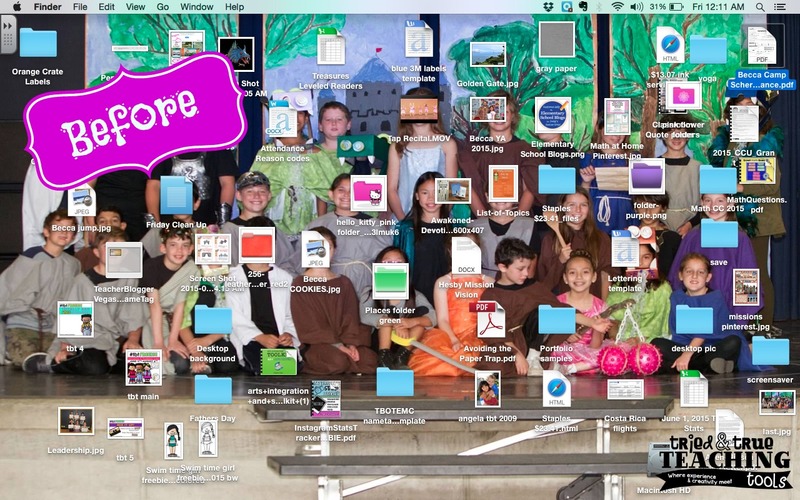 It actually took only about 1/2 hour to make the desktop!! 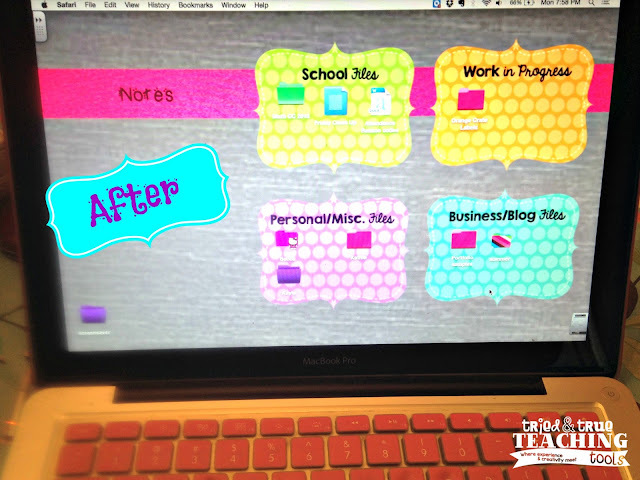 Now I'm wanting to redo it again using my digital scrapbooking! :) Thanks for hosting, Tara!! I would be so interested in seeing your missions work. I teach in Texas and we also learn about our Spanish Mission History. We have 5 missions within our city limits so usually we go on a field trip to see the actual missions after we learn about them. I hadn't really thought about studying the architectural aspect of the missions. Do you have the missions file on your website somewhere? Wow, 5 missions in one area is a lot!! I think it's so valuable to visit them in person also. The kids really love learning about the architecture & recognize "mission architecture" in homes and buildings around town now! Yes, here's a differentiated unit on the missions: https://www.teacherspayteachers.com/Product/California-Missions-a-Differentiated-Social-Studies-Unit-plus-Novel-Unit-1079206. Hope it is helpful! I used a desktop organizer this past year for my school computer-- what a difference it made. I had no idea you could change the look of folders-- I will have to look into that!